William Wood has been quoted as being the ‘outstanding service man of his day’. He was Rotarian, Kiwanian, one man Chamber of Commerce, and the Carnegie of his time. 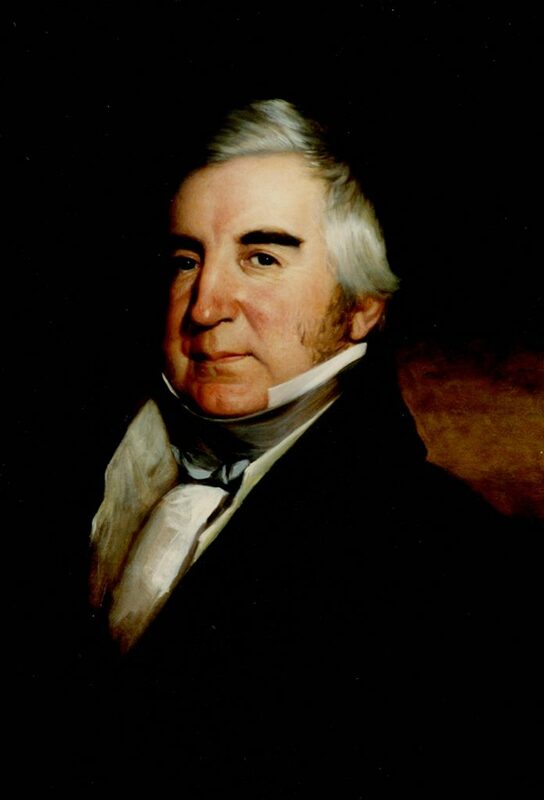 He is the friend and adopted grandfather of all who know him.’ Born in Charlestown, Massachusetts in 1777, he made his profession as an Importing Merchant in Boston and as a cotton dealer in New Orleans where he was known for his acts of philanthropy. Having a passion for books, he was instrumental in establishing libraries on vessels and sea going ships for merchantmen, apprentices, and clerks for diversion from ‘evil and corrupting influences.’ For many years, sailors on ships traveling from Boston to New York were provided with not only a small, entertaining and useful library, but with items for their personal comfort as well. He established his first library in Boston in 1820 and then others in New York City and England. 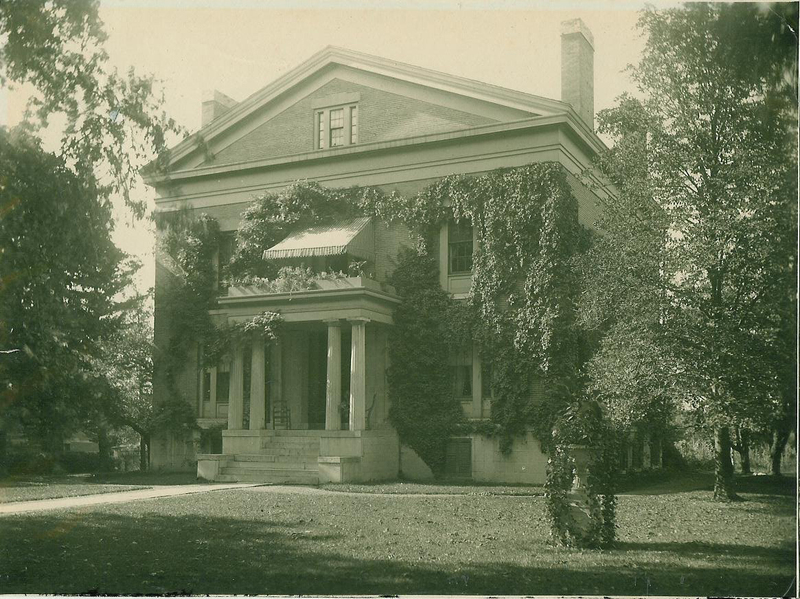 William Wood arrived in Canandaigua in 1826 as a bachelor and made his home with his sister Mrs. Nathanial Gorham. Uncle Billy Wood, as he was known locally, possessed a love of planting combined with a public spirit. He is credited with laying out the sidewalks of Canandaigua and contributing to her overall beauty by planting shade trees during a time when trees were being cut for progress and fuel. The Gallery of Portraits that hangs in the Ontario County Courthouse was created by him as a means to keep alive the spirit of the early settlers of the Phelps and Gorham Purchase. Around 1826, plans for ‘the Canandaigua Merchant’s Clerks Library’ were made and carried out with a nucleus of 50 books contributed by Mr. Wood. But it was short lived. William Wood is buried in Pioneer Cemetery in Canandaigua. In the spring of 1859, a group of enterprising citizens set out to spark interest in establishing a Reading Room in Canandaigua. The Wood Library Association was formed on May 5, 1859, taking its name in honor of William Wood, who had died just two years prior. Frederick F. Thompson served as the first president of the newly formed board of trustees. Unfortunately, interest in the library declined until 1895 when the operation of the library was turned over to the young ladies of the village representing the different churches. Miss Isaphine Granger was elected president, and under her successful leadership the library was resurrected and incorporated as a free public library on June 24, 1896. With the future of the library in mind and a desire to have a building of their own, they contacted Mr. Carnegie in hopes of building a library for Canandaigua as he had done in other places. His conditions were an offer of $10,000 for a building if Canandaigua provided a site and $1,000 annually for its support. It appeared that there would be no quick solution to the continuing problem of a serious shortage of space until 1912, when an agreement was forged between the Ontario County Historical Society and the Wood Library. 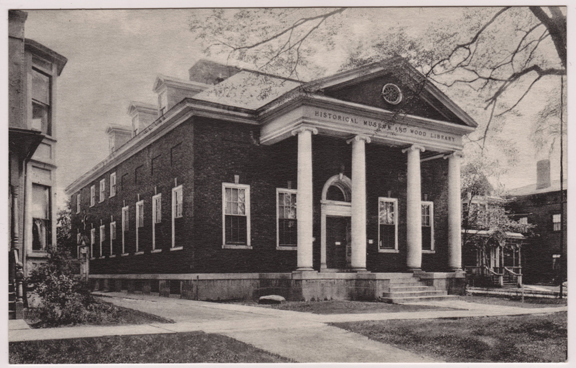 With the signing of a 99-year lease, Wood Library moved into its shared headquarters with the Historical Society in their new building in July 1914. This congenial arrangement lasted for the next 59 years. In 1968, A. Blair Cummins was hired as the library’s first state qualified librarian. The library was feeling growing pains again, and the desire to have a building of its own was still paramount. When the Former Medical Group building went up for sale, it wasn’t difficult to picture it as the future home of Wood Library. 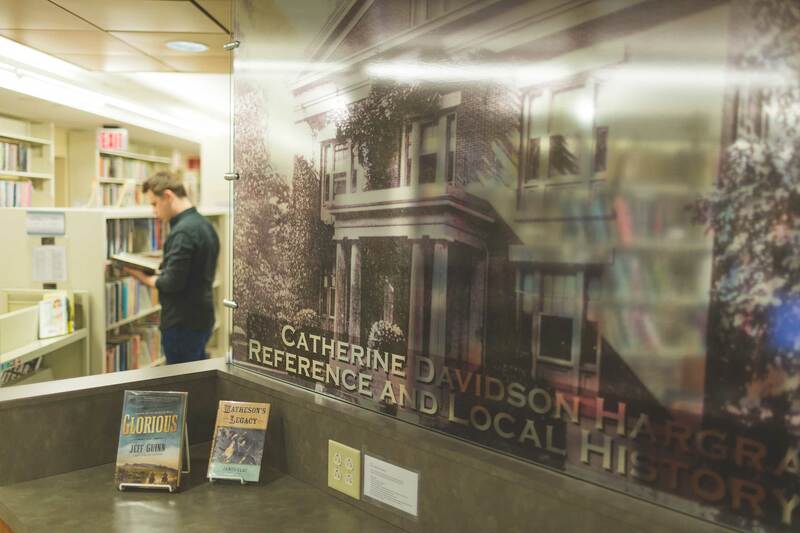 With the library’s first ever public appeal for capital funds, renovation work began in 1972, and the library opened for business on December 3, 1973. Mark Sibley, having purchased land from the Grangers in 1835, constructed this building in 1845. It became known locally as ‘Sibley’s Folly’ because of the expense in erecting such a large residence. The design is in the Greek revival style with characteristic tripartite windows on the front façade not commonly found on residential buildings. For 105 years it remained a private residence, passing through five different families. The last owners were the Davidsons, owners of a lumber yard in Canandaigua. In 1950, the family sold it to the Canandaigua Medical Group for their offices. During their tenure, an addition was added in 1957 that now houses part of the children’s library. Wood Library closed on the building on December 8, 1971 for $15,000, and after additional renovations, opened for business on December 3, 1973. No major renovations were made since that time until 2010, when a major renovation was undertaken in preparation for an addition. Wood Library has remained in this building since that time, only relocating once for six months in 2010/2011 while renovation work was completed in preparation for a planned addition. In 2012, Wood Library secured community-based funding, providing financial support for its future. As you look around, take note of the original features of the building: exposed brick walls on the ground floor and in the young adult area, ceiling beams in the center hall and reading room on the main floor, and the front door with its sidelights. The fireplace in the reading room is original to that room. The pair of marble mantles in the Ewing Family Community Room were originally located in the downstairs parlors and moved upstairs during the 1972 renovation. Wood Library is registered on the National Registry for Historic Buildings.